Mrs Adeosun denied outright on Sunday, claims in some quarters that she refused to grant import duty waivers in respect of drugs, health commodities and related equipment donated by the Global Fund. If you are a medical supplies dealer or an NGO and been having trouble obtaining waiver from the federal government for your importation, you should be interested in this story. 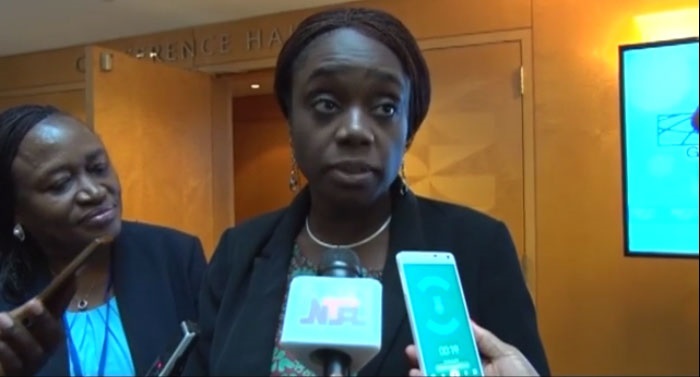 You may have been angry with Nigeria’s Minister of Finance Kemi Adeosun, but Adeosun said she has not been the one blocking access for you. In a statement signed by the Director of Information in the ministry, Mr Salisu Dambatta, the minister said claims by some importers and Non-Governmental Organisation that she denied them waivers for drugs and health commodities imported into the country were false. 1. Submission of an application by the importer and NGO to the Federal Ministry of Finance through the Federal Ministry of Health. 2. Provide evidence of registration with the Corporate Affairs Commission. 3. Submission of an approved Memorandum of Understanding duly signed by the Minister of State, Budget and National Planning between the Donor Agencies, Federal Government of Nigeria and the Recipient-NGOs. 4. Presentation of a certificate of exemption from tax from the Federal Inland Revenue Service (only for those who engage in non-profit making activities in line with their objectives). 5. And submission of a proforma invoice indicating the value of the imported items, bill of laden and if the imported items are donated, the NGOs are required to provide the Federal Ministry of Finance with authenticated letter from the donor agencies.